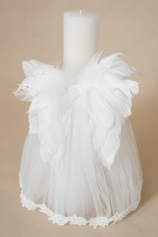 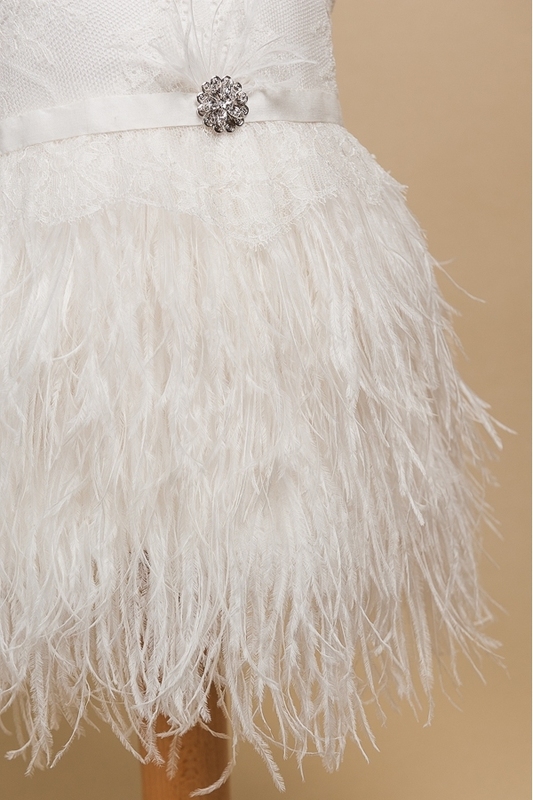 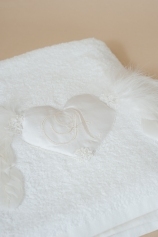 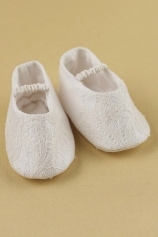 Pearl combines the elegance of silk chantilly lace with the extravaganza of ostrich feathers. 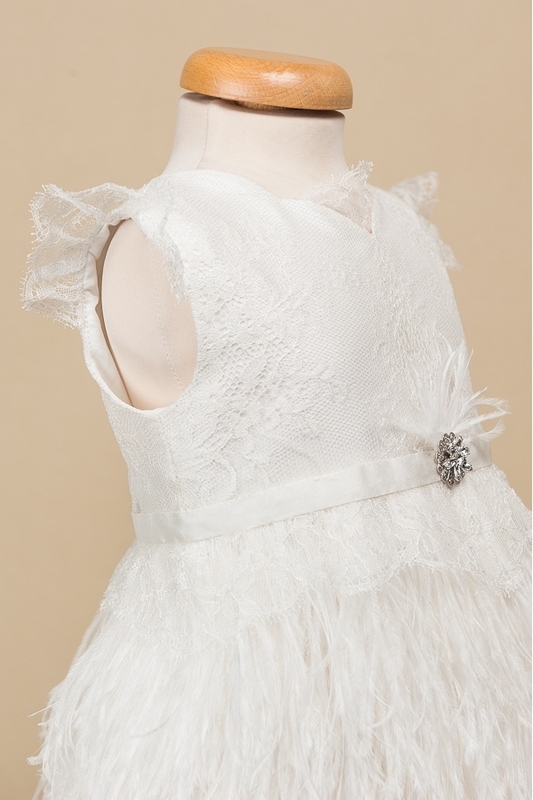 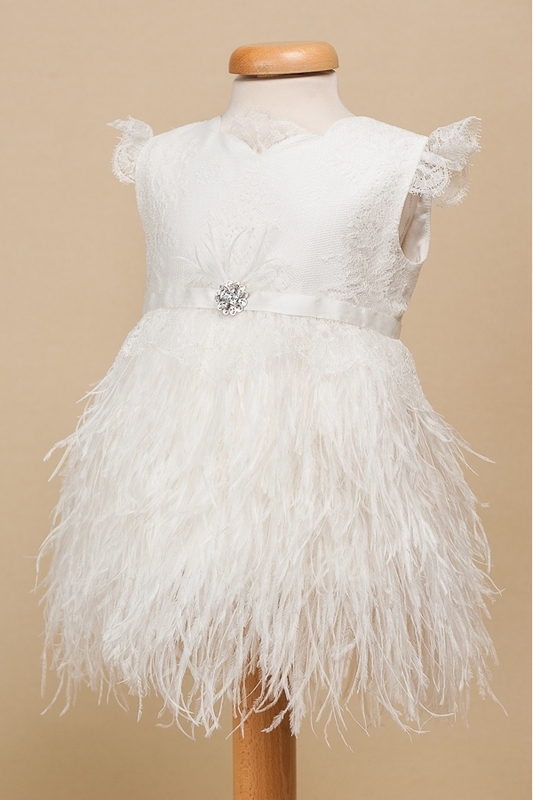 The dress is decorated with a beautiful swarovsky brooch and is part of the collection "A party for Daisy". 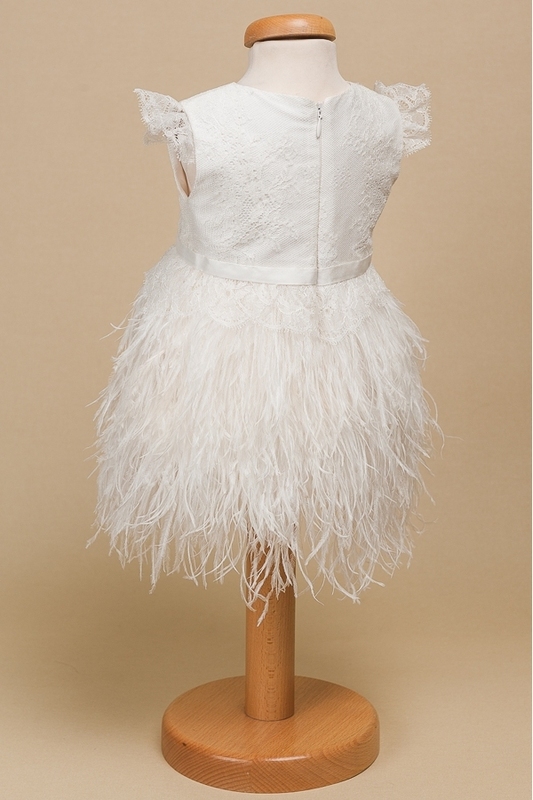 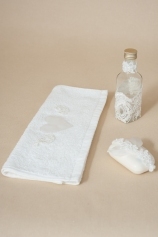 - linning: cotton and silk. 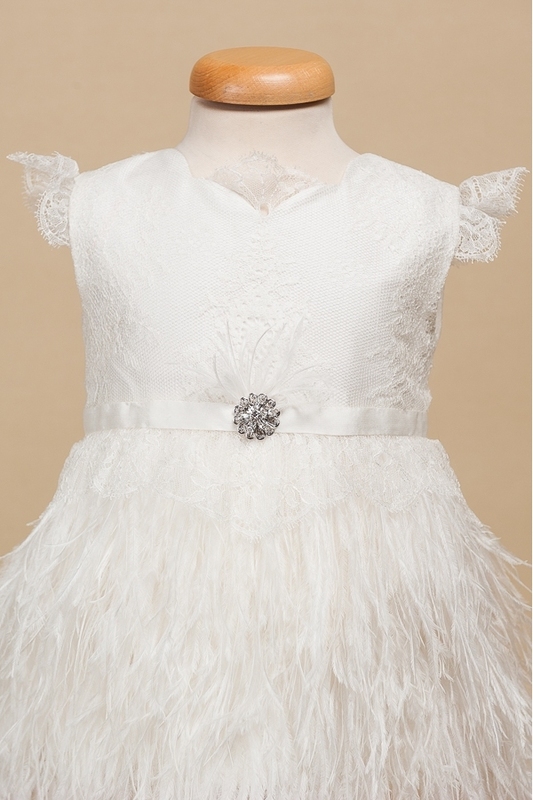 The dress is above knee lenght and it comes with a pair of baby bloomers.